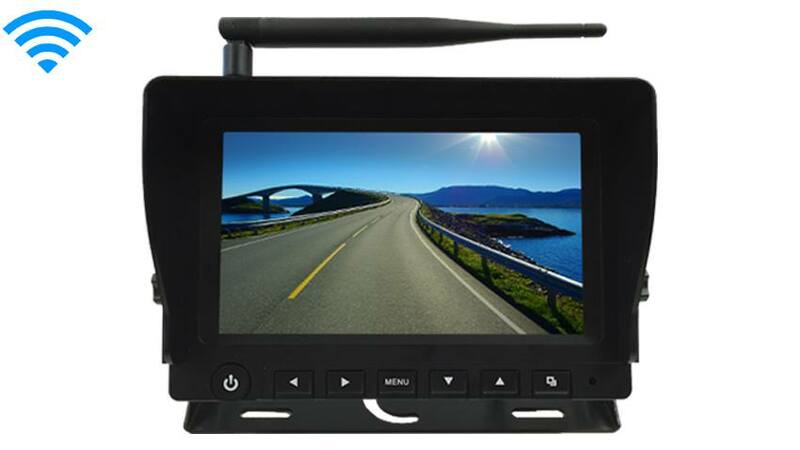 The TadiBrothers Digital Wireless 7-Inch Rear View Monitor is our top of the line commercial grade screen for RVs, fleets, and tractor trailers. It supports all of our digital wireless cameras that can have a wireless range of up to 225ft depending on the model camera you choose. with 2 channels you can pair up to 2 cameras at the same time to this monitor but it is upgradable to have a 4 channel split screen as well as a built in DVR, all this can be done by using the menu at top right of the page. This rear-view monitor includes a high definition LCD panel with auto night vision diming which means that the monitor will progressively dim as it gets darker outside so that your never blinded by the bright day time picture or if someone uses their high beams behind you. It also bright enough that it will have a flawless image even in direct sunlight. This monitor includes a dash mount that you can either screw to you dash, use an adhesive pad or Velcro to your dash. The exterior casing of the monitor is built from heavy duty material that can take the abuse of farm equipment but elegant enough that you can place on the most luxurious of RV trailers. 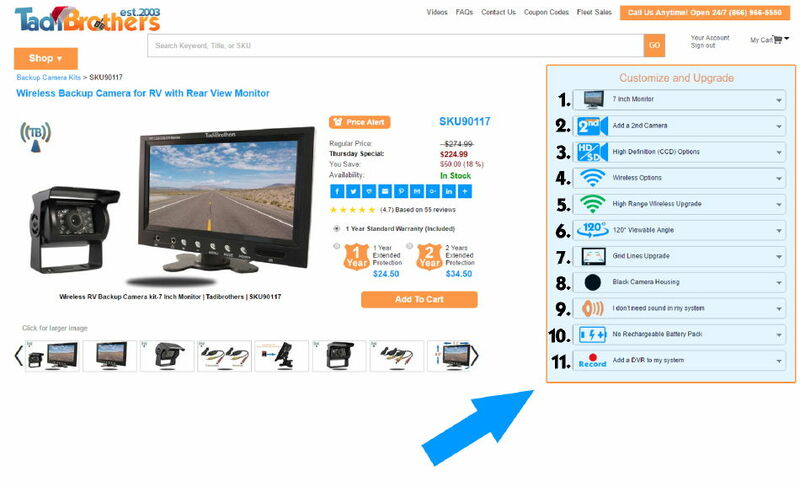 This monitor is compatible with all of our non-digital camera, wired or wireless, you can make this a full system by adding 1 or to cameras by using the “Customize and Upgrade” menu at the top right of the page. If you're interested in adding a backup camera click here to see our Backup Camera Guide.
" This monitor works very well, it was easy to install and the functionality of it was very very easy to learn. I am happy with the product and I'm still learning some of the features. I like the durability and the rubber coating around the monitor. This is a great product I strongly recommended it even got splashed with some water and it still works perfectly. It is a testament to the quality "
" At my age I can't go run wires through my vehicle, but I only heard bad things about wireless. I was promised that this digital system would do the trick and they definitely delivered on there from us so far I've been using this for five months and I've never even seen static it work right out of the box it is very easy to install. There are pigtails that I can make the 12 V for the camera and I connected the Monard to the cigarette adapter. There's nothing easier than that short is it working on butterflies and rainbows. I'm very happy with this product and I think next month I'm going to order a second camera "